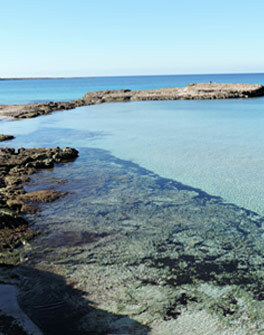 In Itineraries we mention some excursions that, with different activities, could take a whole day. We only give a few examples. Documentation for the fine tuning of the various proposals and to set up new ones is available on the site as well as the indication of a number of selected restaurants in several locations. You will receive the precious support of the Personal Tourist Advisor, the expert partner that Villa Palazzo del Diavolo offers to its guests to satisfy their specific preferences and allow them to enjoy the opportunities available in the peninsula at different times of the year. 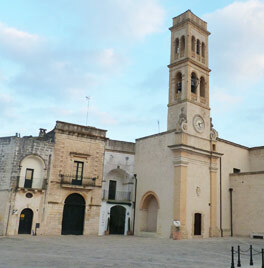 Also to be taken into consideration are the patronal festivals, with their processions, religious rituals, and magnificent illuminations as well as the local festivals (www.sagresalento.com ) and the weekly cheerful and lively markets (available calendar http://www.infolecce.it/tradizioni-popolari/731-mercati-settimanali-nella-provincia-di-lecce-salento.html ) with local products. Not to be missed: The night of Taranta, one of the most significant events of popular culture in Europe, which provides a series of performances in Salento throughout the month of August and ends in Melpignano Saturday, August 27, 2016 (www.lanottedellataranta.it ). 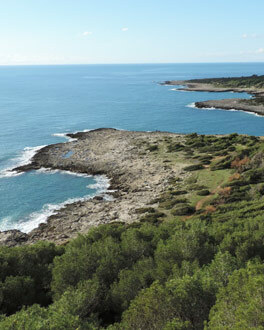 (in the morning) Parco Regionale Litorale di Punta Pizzo…. … and many, many more routes and destinations, over and over again…..
Grecia Salentina: Kalimera, Castrignano dei Greci, Carpignano monaci basiliani; Church of St Stefano in Soleto; in Poggiardo, the rock church of Santi Stefani. 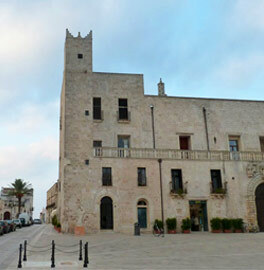 Novoli, east of Lecce: 16th January – the Fòcara of Sant’Antonio Abate: the queen of the winter festivals most loved by the people of Salento, 8th December-16th January, the great bonfire.